Happy to be part of the next Mänttä Art Festival! The Mänttä Art Festival is the largest summer exhibition of Finnish contemporary art. 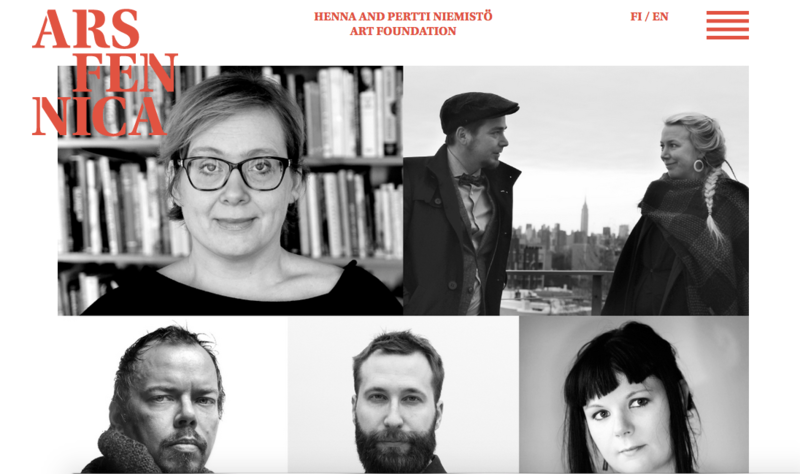 Its curator (this year Marja Helander) is selected annually. The award-winning Mänttä Art Festival is a destination highly regarded by art professionals and much loved by the general public. Permanent exhibition space is located in Pekilo, in the centre of Mänttä. The theme of the XXIV Art Festival is ”The Human Era”. The exhibition poses the question: What happens when humans control the land and natural resources? 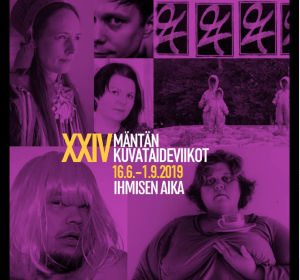 Mänttä Art Festival from June 16 to September 1, 2019 in Mänttä-Vilppula, Finland. 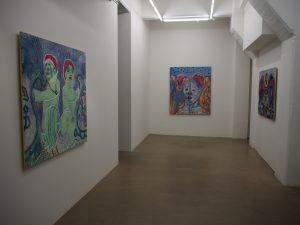 My solo exhibition Roses, Black birds and Witches was held at the Gallery Helsinki Contemporary from 11.1. to 3.2.2019. Camilla Vuorenmaa’s exhibition Roses, Black Birds and Witches explores superstitions and urban legends. The subjects of the works are witches, vampires and wizards. Vuorenmaa collected background materials in Scotland when she was living there in 2018 and has, for instance, read accounts of the history of witches and of children driven to the verge of mass hysteria. Around this same time, witches were coming up in the media and literature more frequently than before. Vuorenmaa is interested in the need people have to find a common enemy, and via which we seek to protect ourselves against phenomena that we do not understand. She, nevertheless, treats her themes with a certain humour and the aesthetic of her works contains references to 1990s horror films. We are on the boundary between good taste and the macabre. 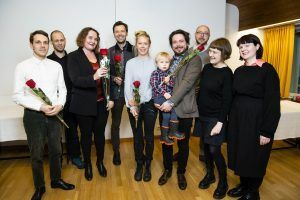 The art collection of the Saastamoinen Foundation has evolved from the home collection of the Saastamoinen family of industrialists of Kuopio into one of Finland’s leading art collections. 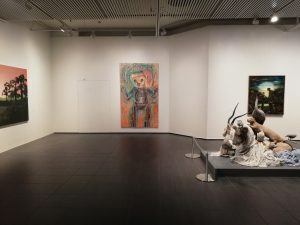 The Foundation, which is celebrating its 50th anniversary this year, relocated its art collection in EMMA – Espoo Museum of Modern Art in 1999. 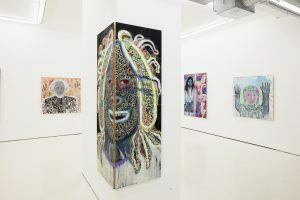 The present exhibition presents the collection’s latest works of contemporary art, a consistent focus of the Foundation’s acquisitions in recent decades. Finnish artists featured in the exhibition include Jenni Eskola, Markus Rissanen, Jani Leinonen, Maiju Salmenkivi and Camilla Vuorenmaa. 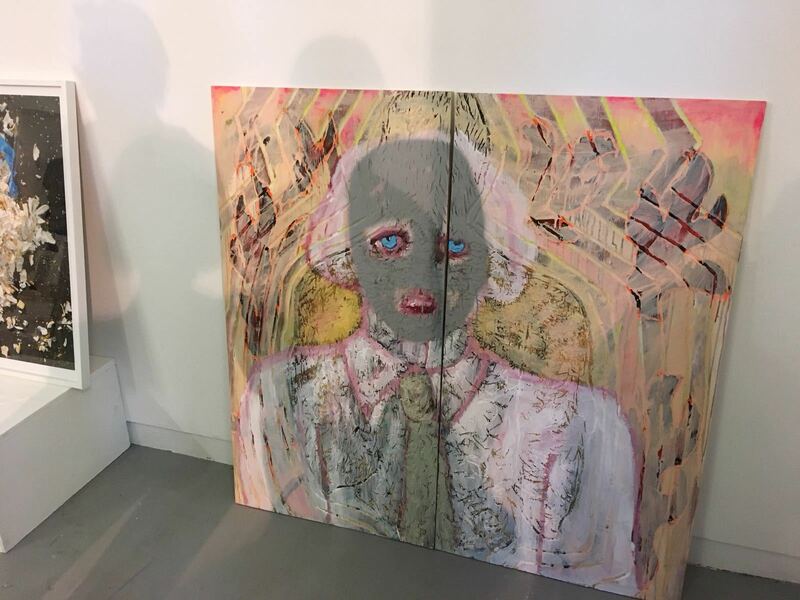 Foreign artists with works in the collection include Eggert Pétursson of Iceland, Chantal Joffe of the United Kingdom, and the Swedish artists Ernst Billgren and Roland Persson. 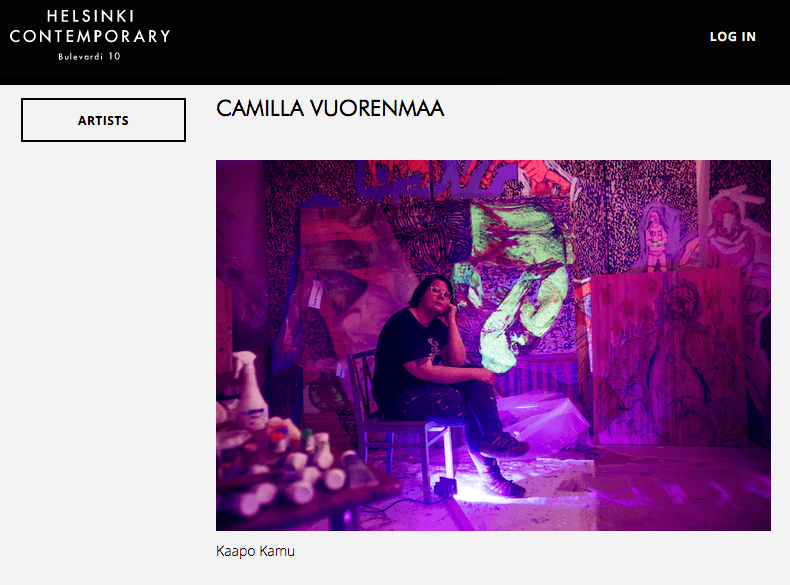 I am grateful for being one of the ten receivers of William Thuring Prize, awarded by the Finnish Art Society. 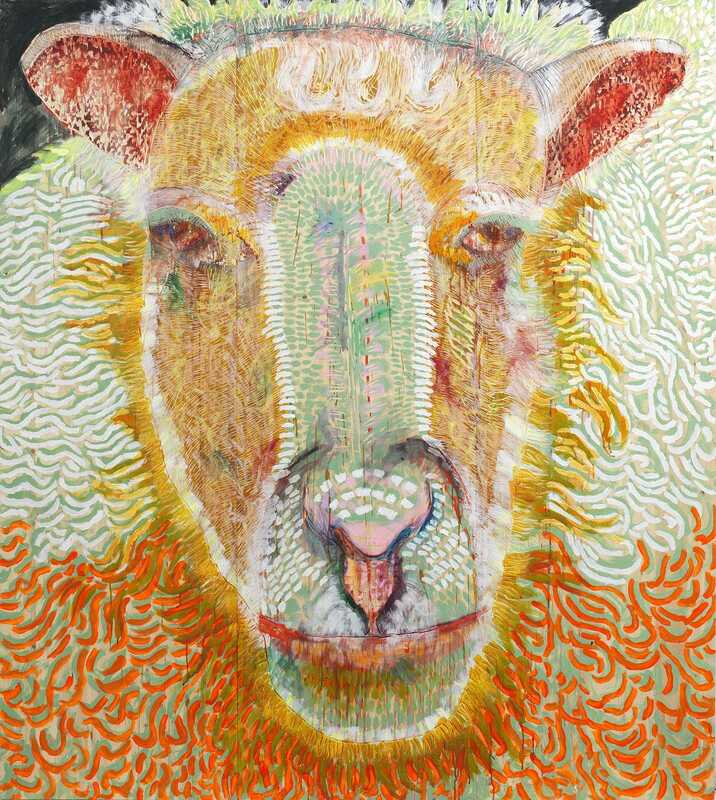 Group exhibition Gaze at Gallery Susanne Pettersson in Stockholm. New works at Gaze, a group exhibition at Gallery Susanne Pettersson in Stockholm. I have chosen artists whose works have an emotional effect on me. It felt natural to invite colleagues whose working methods I was familiar with after countless discussions and studio visits over the years. This is about immersion, not about moving sideways. Instead of a specific theme, the framework for the exhibition is formed by the intuitive way of working, which combines the artists and artworks. In the core of the exhibition is the gaze that each of the artists casts upon the world surrounding them. What connects them all is their way of processing gathered perceptions and experiences at the studio, in painting as well as through material experiments. Transmission Annual Members’ Show: Home of Multiple Occupancy is open from 22nd June- 21th July at Transmission Gallery, Glasgow. My new work Blue Eye is part of the show. Group Exhibition Toisto is now open at The Art Center Purnu from 17th June to 12th August 2018. 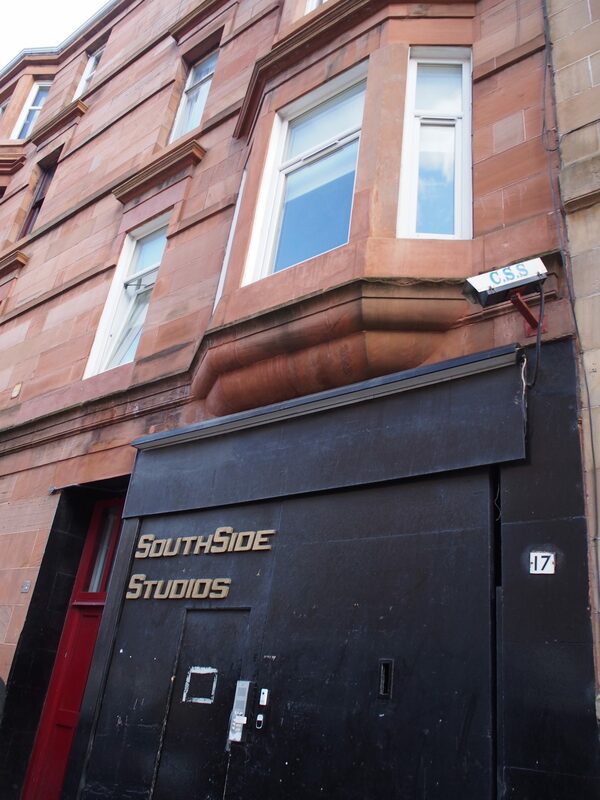 A room of one’s own – I got a studio from the Southside Studios in Glasgow. The second Fine Academy of Arts Award Exhibition was open at EMMA-Espoo Museum Of Modern Art from 10 February to the 17 th of April 2016.